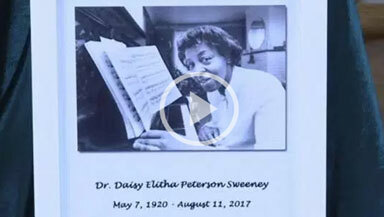 Daisy Peterson Sweeney was the one that jump-started my Gospel Music Career. She then became my older sister, second mother, mentor and friend forever. I will always love and appreciate her for what she did not only for me, but also for thousands of others like me. Watch the funeral coverage here.